This 3-ply Black upgrade for your Fender Classic Series '72 Telecaster Custom guitar gives you 35 pickup tones. It takes fifteen minutes to remove your stock pickguard and connect your pickup wires to the upgrade's solderless terminal strip. Now a HUGE, alternate tone dimension will instantly open up to you. Turn on both the Bridge and south Neck pickups in normal-phase and in parallel to make it sound like a "standard" Telecaster. 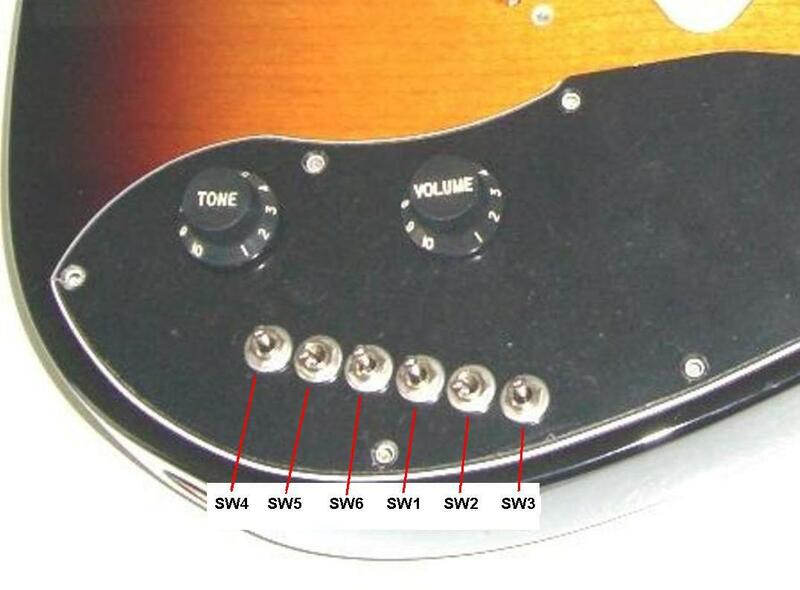 Put the Bridge and north or south Neck pickups in normal-phase and in series to create a well-rounded Jazz sound. Put the Bridge and north or south Neck pickups in reverse-phase and in parallel to get glass-shattering country twang sound. Put the Bridge and north or south Neck pickups in reverse-phase and in series to get a more robust country twang sound. T3 (no pickups) - you install your own 4-wire humbucker pickup to get 35 pickup tones. One Classic Series '72 Telecaster Custom 3-ply Black 16 hole upgrade. 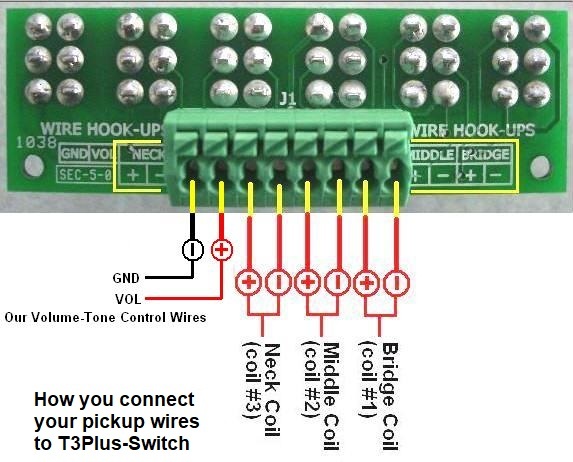 You install your own standard 4-wire humbucker neck pickup, connect your pickup wires to the green solderless terminal strip and connect the two marked upgrade wires to your output jack wires. 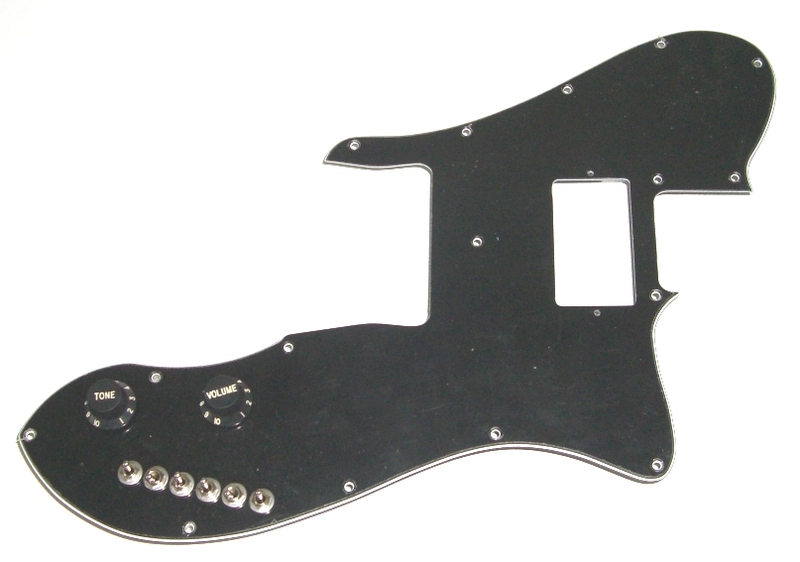 Your stock instrument contains a Wide Range Humbucker neck pickup which is not used because they are 2-wire versions. This upgrade requires a standard 4-wire humbucker pickup.